Dan was on Good Morning America, Tuesday, May 26th to discuss actress, Kelly Rutherford’s latest legal victory. On Friday, a California judge awarded her sole and legal temporary custody of her 8 and 5-year-old children, whom, since 2012, have been living with their father in France when his U.S visa was revoked. 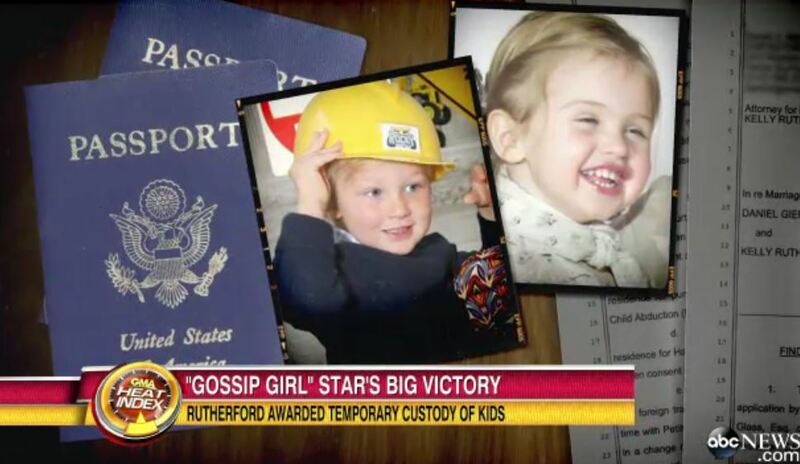 The “Gossip Girl” star is now traveling to Monaco this week to get her kids back. Her attorney told ABC News she’s grateful for the decision rendered by the California court sand look forward to reuniting with her children. Dan commented, “I think there is a series of violations here that finally led the California court to say, wait a second, how about the fact that both parents should be able to see the kids? … I’m sure the father will appeal. It will continue. She doesn’t have the kids yet. He first has to get served with the California order. They have to inform him. Then they have the Monaco court. She’s going over there. That doesn’t mean she’ll physically take custody…The kids are ordered to come back to Los Angeles by June 15th for this hearing. Question will be, does he fight it?” Watch the full clip here.